Teacher Phili – English Language Tutor – originally from London but now living and working in Norwich, UK. This is a reflection of my session at the IATEFL Conference in Liverpool and the context in which it took place. A recording of it is below with links to my slides below that, though most of them appear in the video. The slides include many of my personal bookmarks which I have collected over the last couple of years. In the lead up to the conference I published this screencast recording from 5 December 2017, which shows how many shares of my survey request came from my original Facebook post on 1 December. It took off because of the sheer numbers of people who shared and re-shared it, either on their personal timeline or on a Facebook group. They probably shared it in other ways. It lead to the questionnaire, which had mostly open-ended questions, being completed by 501 different English language teaching professionals from around the world and I presented my findings in an extensive post to coincide with my talk in Brighton in April 2018. My talk was more of a workshop this time around, with greater audience participation. I covered five questions from my original survey and dealt with the responses, whilst being conscious of time. In fact, I managed to keep my presentation within the 45 allotted minutes despite no session following directly afterwards. I have done similar workshops in London and Malta, as well as three webinars on the topic. This is the last time I will do this particular talk or workshop in this format, especially the ‘diagnose the 8 conditions’ activity, although I remain open to presenting at events, conferences and engaging in a discussion on this important topic. My session was scheduled at the same time as the Tribute session, taking place on the same floor of the Jury’s Inn hotel in Liverpool. Not quite the ‘fringe’ but closer than the airplane-like room (or Gate) 23 at the ACC! Numbers suffered as a result, and I had about 35 people attend in person. But it’s quality, not quantity that matters, although I do want my research and my presentations to reach a wider audience. I made a reference to the people ELT and IATEFL had lost this year and played ‘Reasons to Stay Alive’ and ‘Handle with Care’ by Andy Burrows and Matt Haig before I started. In addition, I displayed a few key books. I also made a reference to being back in Liverpool for the first time since acute anxiety had prevented me from being able to leave my hotel room – the Ibis, across from Albert Dock – for a whole day during IATEFL 2013 and during which I suffered from generalised anxiety the whole week. I had been in a secure unit a few weeks beforehand. I was mentally in a lot healthier place this time and felt I got some closure on that experience. I was delighted that Sarah Mercer could attend my session as she was my inspiration to do my research. I was equally delighted to find out that Liverpool plenary speaker, Hornby scholar and self-described ‘micro celebrity’ Paula Rebolledo Cortes attended, too. I made a reference to her conference opening plenary comment about teachers being ‘used and abused’, collaborative action and teachers’ working conditions, because I wanted to highlight this in my workshop. Unfortunately, I mispronounced her surname, but many do, apparently. She discussed the buzzword that is ’empowerment’ during her plenary, while I addressed the buzzword that is ‘wellbeing’ during mine. I deliberately quoted Paul Walsh, as he was the person who originally interviewed me for Time to Talk day 2017. I have a lot of sympathy with the view that fostering responsibility of teachers to look after themselves is fine but what is actually needed is a greater discussion of conditions, pay, contracts and advocacy, which IATEFL, as an organisation, arguably falls short of. Hopefully that will change. New president ‘Harry’ KuchahNnam Kuchah, another Hornby Scholar, who I knew at the University of Warwick, defended IATEFL’s position in a series of exchanges on Twitter towards the end of the event with Paul, Neil McMillan and others. At least he is prepared to engage in conversation – in fact this was just before I bumped into him while I was charging my phone, before he walked on stage to close the conference. It was a week that addressed some important issues, challenged some already held beliefs. I think IATEFL has always tried to focus on teacher and quality learning, well at least since I have attended it. This conference also had a thematic thread on issues such as diversity and inclusion. Nonetheless, the conversation is still going on (mostly on Twitter) about whether the conference assures equity and representation of all identities. Anyway, in respect of my talk in April 2018 and workshop this year, as far as I am aware I am the only person to have used the words ‘mental health’ explicitly stated in the title of a talk at IATEFL and I have done this twice now. I am not sure if I am at the level of ‘micro-celebrity’ yet or ‘TEFL famous’ as a good friend has remarked, and I am not sure that I even want to be, but hopefully I am doing my bit to raise awareness of both mental health and working conditions in ELT. I am grateful to Helen Chapman for supporting me ahead of this talk and for recording it. I neglected to include Paul Walsh’s article in my references, but it is included in the comprehensive collection of 60+ hyperlinks at the end of the slides. With the slides fail at the end of my workshop, I forgot to ask the participants for their permission to be on film. Although shots of the audience are limited, I apologise here if anyone caught on camera would have preferred not to be. I did ask for shots during the Q&As to focus on me, not participants, and that is what was done. In the video editing process, I also superimposed the ‘8 conditions’ slides over the top of footage of the participants quite deliberately. I cut a lot of the discussion elements of the recording to trim it from 45 to around 36 minutes, which is the same length as the talk in Brighton recording. Aside from my day job, one of my hobbies is making films. There is a whole page on this blog dedicated to some of those, whether with students, for the Learning Technologies Special Interest Group or just for pleasure. It’s just a selection of some of things I’ve created. One of those films is ‘Alpha Grove Reunion’, based on an event which incredibly took place ten years ago next month. I recently remade the DVD cover especially for this anniversary, although the content is pretty much the same, and given it to some people who were at the event. This includes Karen O’Sullivan, whose sister Tina got in contact with me recently via Facebook. I was at Seven Mills Primary school, on the Isle of Dogs, with Karen, Tina (Miller) and their younger sister, Kerry. Back in April 2009, inbetween completing my CELTA and working for Bell Educational Trust in Cambridge, I returned to my childhood home on the Isle of Dogs, in London, with my mum, dad and brother, Pete. The reason for our trip was a reunion of members of a youth club that my mum and dad set up and ran for 5 years in the late 1970s – early 1980s, before we moved to North Norfolk in 1982. My dad bought this old Methodist church building for £8250 and they called it the Alpha Grove community centre on the run down, working-class Barkatine estate. The old church building had been totally redeveloped and was undergoing some more building work when we visited. The whole island dramatically changed, of course, in the 1980s with (primer Minister) Margaret Thatcher’s Docklands development programme, which included Canary Wharf, a.k.a. 1 Canada Square. It is now virtually unrecognisable from the desolate waste ground I grew up and played in as a kid. I used to break into this area from our back garden, confronted by security guards protecting this empty and desolate space. I made a fly-on-the-wall documentary film and a DVD of the trip back to London. The film is interspersed with original, low quality footage found on an old VHS cassette, filmed by Tony Scott, in 1983. He was a frequent visitor to the Alpha Grove youth club and filming was Tony’s hobby. In fact, this was the first thing he ever filmed. He later got hired by ITN news, in 1985, and was a sound recordist for many years. In 1998 he became one of their main camera 🎥 operators. He has now worked with ITN for 34 years. There is a day in the life of a cameraman film recorded last June about what he does and all the technology he uses. He is seen talking about his job whilst covering last year’s Grenfell Tower inquest for ITV news. He can be a bit of name dropper, even more then me! I couldn’t give you a list of all the famous people he has met in his long time working for ITN, but it has included Prime Ministers, filming The Queen’s Christmas broadcast and international missions like Charles and Camilla’s trip to Nepal and covering three UEFA Champions League finals – including 2012 when Chelsea beat Bayern Munich. He won a Royal Television Society award for his coverage from Beirut. Not surprisingly he has lots of stories to tell and is currently writing an autobiography, although he admits his English isn’t great and might need a ‘ghostwriter’..
On Sun 14 Jan 2018, Tony unexpectedly popped into our home in North Norfolk. It was the first time either my Dad or myself had seen him for 30-odd years – the last time he came to our house was for a party back in the eighties. Here is Tony Scott below, posing for a photo with that original DVD, and being reunited with his own Alpha Grove footage, which had been misplaced. Tony, for once, being on the other side of the camera! To date, Tony has not got back in touch regarding his autobiography. The full reunion film (with music intact) can be seen below. Click on full screen to get the full viewing experience. Note: The film was uploaded 14 months ago but has only just been seen by Karen, Tina and others more recently. The film uses copyrighted music, mostly by the Sting / The Police. UMG owns the rights to The Police’s recorded music and have labelled it as such on the video but has, so far, allowed the music to be included. I sang ‘Message in A Bottle’ during the Reunion Karaoke but, thankfully, this wasn’t recorded. The Alpha Grove had a jukebox and my father would regularly purchase the latest 7″ singles with the holes cut out. When it was time to replace some, my brother and I used to share the dividends, helping me to build up my vinyl record collection. I still have the two of the three Police 7″ singles used in the main film. Note: This article was originally published on 3 February 2018. This is a summary of the #ELTchat topic which was discussed on 6 March 2019. It is my 16th summary in total and means that I join moderator @SueAnnan, in earning a ‘gold medal’. I didn’t take part during the hour long chat and only contributed to the ‘slowburn’, which is the 24 hour period after the main chat when other Twitter users can add their thoughts and comments. A list of all #ELTchat summaries is available here and my own summaries can be found from the tab at the top of this page. The topic of dealing with attendance problems with adult learners is another pertinent one for me at the moment. I teach two ESOL classes in the city of Norwich, UK. The most recent one is an ’employability’ class, with refugees and migrants. As well as general functional English, we will look at specific vocabulary and skills around looking for and obtaining work. Whilst learners show some initial interest, come to the assessment day and possibly one or two early classes, retention of learners is already looking poor. I do not always know the reasons why learners either do not attend or drop out without any notice. I posed some questions this week about the ‘barriers’ to attending class, as well as obtaining employment, on the worksheet below. One learner stated that he didn’t come to the previous lesson because “it was raining”. I asked if he would give ‘bad weather’ as an excuse to his employer and he stated that it was just a reason for not attending my class. Another learner dropped out this week due to poor mobility and no funds being available to bring learners to the class. So the problems and reasons of non-attendance do need to be explored, along with ways to handle this. Do you have attendance issues with your adult classes? asked @Marisa_C early on in the chat. 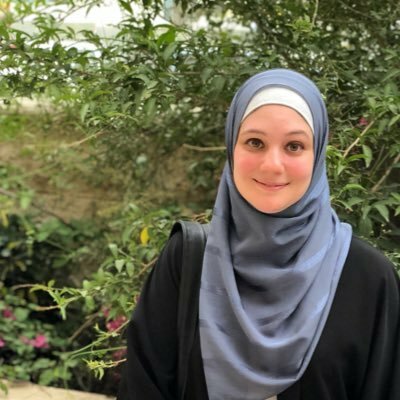 She also has “mostly refugee classes at [her] school – paying students usually try not to miss out on their classes but with free classes you know there’s always a problem.” @jonjoTESOL stated that his school has rolling classes that can be rebooked if missed. He added that “the flexibility has caused attendance issues in my opinion though. It’s not a cheap course either!” @MoreMsJackson also mentioned this – suggested encouraging students to create social media groups to let each other know attendance problems and to catch up. The “more flexible school policies are, the worse the attendance usually!,” she stated. Sometimes life just gets in the way, said @MoreMsJackson. She asked what the chatters do to help their students catch up from missed lessons? @ClareBurke_ELT answered: “My first slide of a lesson is the last slide of the previous lesson. Sentence stems to promote reflection. A returning student pairs up with someone who was present and they fill them in while everyone gets settled. Then I deal with any questions and a review task.” @adi_rajan stated that “most of [his] courses have a Wiki or Edmodo group and there is usually something there by way of a summary, sometimes learner-generated. This lead to a brief discussion over the merits of Edmodo compared with Schoology. @ClareBurke_ELT said that she liked Edmodo, but some students are not so keen. They don’t like signing in every time they move group. The teacher also has the extra task of generating codes for first few weeks when absent students need to get in. @sandymillin stated that in her school, they phone their students once they have missed three classes. This is in order to tell them what they’ve missed and to find out if they are coming back. @ITLegge stated that her old school did this because some students felt that if they missed one or two at the start, it was embarrassing to come back. Again, life gets in the way, so staff could offer other options. If there were handouts @ThisIsMattStott usually makes sure they get them. Other students are also pretty good at posting whiteboard snapshots and homework answers on WhatsApp. However, one missed lesson should not matter too much if there is recycling and review in later lessons. “How about encouraging students to create social media groups?” wondered @fionaljp. @JonjoTESOL replied that in his context this had “been actively discouraged from doing this from management. It has created both positive and negative social environments which then leak into the class.” He believed that it might be a cultural issue, where there is a different perspective on social media. @adi_rajan countered this by saying “culture can be leveraged to get people to come regularly and on time for classes. It took me a long time to figure it out but I’ve had similar punctuality issues in South Asia and the trick is to appeal to students’ sense of respect for the teacher.” @PhilipMErasmus “One issue with using social media is that many adults are just overloaded with social media accounts and simply cannot handle another. Good idea in theory, but… ” while “Students could just make mini groups with just their ‘friends’ from the class,” suggested @MoreMsJackson, which is actually what @fionaljp meant, who felt that gaining respect is actually a great way to encourage attendance. @JonjoTESOL later wondered if anybody in the chat would consider giving extra light homework using WhatsApp or other social media and whether this medium created an alternative, more relaxed kind of interaction. @Marisa_C replied that what works for her situation is to try giving them collaborative homework or some research task for which they need to use the app or chat function. @MoreMsJackson queried what was meant by “extra light homework”. @JonjoTESOL was not entirely sure what he meant, but offered that, perhaps, students can respond to a short news article, maybe ask give them a short particular grammar or vocabulary task that you previously covered. Or you can have a group chat every week similar to #eltchat. @fionaljp stated that she would keep a distance from students’ use of social media platforms. @JonjoTESOL asked whether, by ‘distance’ she was involved in the group conversations? @fionaljp replied that she didn’t get involved. She encourages their use, but without her. She believes in professional distance in terms of sharing personal contacts and it has been the policy everywhere she has worked. @ClareBurke_ELT said that a colleague of hers suggested a ‘5 minute mission’ for teens. Each Student blocks five mins of their day in their phone’s calendar. When they get the reminder, they have to do something in English, such as listen to a song while reading lyrics, watch part of a YouTube video, etc. Students can then go on Edmodo or Padlet and document what they have done, sharing the link or recommending the song. It’s been eye-opening. Getting back to adult attendance, @JonjoTESOL asked what strategies the chatters have used that might have improved attendance. The only one he could think of is giving them physical proof of their improvement over the time that they have come. @Sandymillin replied with “the highest quality classes we can manage! CPD for our teachers and clear evidence of quality control. Life will get in the way, but if the classes are good enough students want to come back.” @Adi_Rajan talked about extrinsic rewards, such as points in Classdojo and taking pictures of activities to tap into students’ #FOMO (fear of missing out). @JonjoTESOL further stated that he was interested to hear how some schools handle the balance between ‘good customer service’ and ‘good teaching practices’ when it comes to paying customers. @fionaljp replied “Flipped classroom? Creating a class blog? Buddy system? – clear ways for learners to take responsibility and catch up on missed lessons.” @PhilipMErasmus replied that occassional changes could be made if everyone agreed. However, if a student cannot make it, they could see the teacher ten minutes before the lesson to catch up on what they lost. This would be a no-nonsense, ‘take-responsibility-for-your-own-learning’ policy. In the ‘Slowburn’ period, I tweeted about my current classes mentioned at the beginning of this summary. I need to complete a course monitoring sheet. Attendance can be poor and learners need chasing. If a satisfactory answer is not given within 2-3 weeks then they have to be removed from the course, despite mitigating circumstances. I try to create a comfortable learning environment where the students feel they want to come and stay. Sometimes, though, other external factors (family, training, dentist appointments) impact on their attendance. I think motivation is key here. A lot of my refugee learners want to find work or drive in the UK. They are keen to attend in order to pass the driving theory test or obtain employment. What gets in the way is ‘life’. Having said that, I do my best to motivate them and to accommodate their external commitments, but fostering autonomous learners is also required here. The following article was shared by Fiona in the chat: How social media is changing learning. This topic is particularly important to me as I am having to do this a lot with my current ESOL ‘Driving Theory’ class, which I wrote about in the chat, and an upcoming ‘Employability’ class. There are many articles already out there about strategies for differentiation, such as this from Teacher Toolkit and this on ESOL differentiation from the British Council. Furthermore, @fionaljp mentioned this one from English Teaching Professional during in the chat, while @jonjoTESOL shared this post on differentiation with mixed ability classes by Barefoot TEFL Teacher in the ‘slowburn’. “Differentiation is an important issue for many teachers these days. I have a class with spiky profiles. They range in age, ability and level of different skills, so I have to differentiate in all instructions,” stated @SueAnnan. @Marisa_C wondered how much of Sue’s design caters to differences. “90%” thought Sue. “I offer different amounts of work. Shorter reading passages etc … The preparation can be that you divide up the passage with your eyes as you hand it out, and get different groups to jigsaw read bits according to how much they can cope with,” she added. She summarised the start of the chat as talking about classes of mixed range, ability, age etc and decided that teachers don’t want to be spending free time making stuff to differentiate too much. @fionaljp offered that “it’s all about inclusion, isn’t it?” “I hope my classes are inclusive. But you can still have 3 men and a dog in class, who really aren’t the same level, because its too early in the year, and you haven’t recalled your teachers yet.” answered @SueAnnan. “I’m sure they are … just meaning it can become a bit impractical,” replied @fionaljp. @PhilipMErasmus said that “for me differentiation comes down to: we don’t teach classes, we teach individuals.. this is the aim.” However, “it depends on the range of ability and interest in the class and the size of the group,” responded @SueAnnan, before stating that “small changes can have big effects … Something as simple as introducing choice to a class can work wonders for morale. They think the teacher is really listening to them.” @Marisa_C agreed, suggesting that “perhaps leave [exercises] on a table and people can choose whichever one they want – next time they might get wiser.” @jonjoTESOL also agreed with this. “I need a list of these ‘small changes’ that a teacher does that have huge implications in the classroom. No more assuming that two hours of lesson prep is an hour of lesson time,” he said. “I can agree with the point about preparation for differentiating,” stated @TonyP_ELT. “The reality of teaching often makes that tricky or more time-consuming. I like the term “low prep differentiation … What about other solutions away from prep and activities… can interaction patterns, grouping, monitoring etc help?” he asked. “Maybe giving students different roles playing to their strengths is one way,” suggested @koomska. “I think knowing your learners is important, if your teaching environment permits that. Sometimes though, you have to ‘jump into’ a teaching situation or cover a class at short notice and then have to differentiate on the spot.” stated @TonyP_ELT. I think low prep means working with what you have, but it is possible to mix up the pairs, offer varying abilities work at their level and praise the weak ones when they manage, so they don’t feel ‘NUL’ (French for ‘stupid’ as in ‘nul points’),” stated @SueAnnan. A mixed nationality, mixed ability class requires differentiation. @teacherphili stated that he has “never had to differentiate as much as I do now. Not so much with instructions, but because of their different levels and comprehension abilities.” The specific course is English for UK Driving Theory, with lots of driving analogies used to differentiate, such as when setting homework using a traffic light system. @Marisa_C suggested that we need a whole toolbox of attitudes and techniques and not just think about designing two extra hours of activities for the different levels and abilities. So in summary of my 15th summary for ELTchat, my own motivation to join was to share my own recent experience. There were a lot of ideas shared but not that many links or resources on this occasion. It is an important topic which often comes up in observation reports and has many possible ways of doing it. But in general, participants during this chat felt that too much time could be spent on preparation to deal with this and that teachers are not paid enough to do lots of extra planning, even if some awareness of different needs, abilities, levels etc is essential when we are in the classroom. If you regularly take part or have taken part in #ELTchat in the past, @vickysaumell is carrying out some research into its use. Click here to complete the survey. On 18 / 19 January, I attended the English UK Academic conference, held at Prospero House, Borough, London. I gave two talks, one of which was more of a workshop. I was fairly apprehensive in the week leading up to it and not been particularly well. I had been experiencing daily anxiety and had just turned down work with my current employer, Norfolk County Council, because of this. Also speaking at the conference, amongst others, were Chris Farrell, who presented on ‘burnout’, Ruth Hughes talking about positive psychology and the wellbeing on international students, Julie Moore, Vic and Silvana Richardson, James Hilton, and Anne Margaret Smith. The closing plenary came courtesy of Countdown’s lexicographer, Susie Dent, who I previously bumped into in an elevator at the ELTons 2017. I will be returning to this topic in Liverpool on 3 April when I will be giving a workshop aimed at employers within ELT. On Saturday, the audience was mostly teachers and the focus was more on individual wellbeing. Again, drawing on questions from my survey, I invited participants to share their own tactics and good practices for staying well. I purposefully started this session with this critical take on ‘wellbeing talk’ by Paul Walsh, before looking at definitions, theories of wellbeing taken from positive psychology and tips. Again, a number of delegates shared their own experiences and chatted to me afterwards about their own particular context. My inspiration and basis for this talk was Sarah Mercer’s recent webinar for Macmillan Education ELT and I was interviewed by them about this afterwards. Interview to follow soon. I’ll add the link when it’s live. In the meantime, there is this promo about their Language Hub launch. See if you can spot me. On Saturday 27 October I took part in my first proper Facebook Live. It was a webinar for the BrazTesol Mental Health Special Interest Group. In this webinar I drew upon the research that I did last December and which I have subsequently spoken about at conferences and in workshops. I plan to do more in the future. These kind of webinars act as a stepping stone from moving the discussion on from merely talking about the research to offering advice and solutions in the workplace. It is not country specific, although I do make reference to the backdrop in the UK, not least my involvement with the mental health charity, Mind, and the Time To Talk campaign, which aims to reduce or eradicate stigma and discrimination. I am a so-called ‘champion’ and registered on the Time To Talk website. You can watch the full recording below, minus the introduction. It is also available on the BrazTesol Mental Health SIG Facebook page, where it had almost 1,000 views in the first 24 hours, thanks to a significant number of shares. It starts properly around 20 seconds in. This is a summary of an #ELTchat which took place on 17 October 2018. @angelos_bollas suggested the topic as he had just come back from the 7th ELT Malta Conference where the IATEFL Young Learners and Teenagers Special Interest Group (YLTSIG) had a prominent strand. I was there, too, and being a committee member of the Learning Technologies Special Interest Group, I thought I would be well suited to write this summary. It is the 14th summary I have written for #ELTchat and the others can be found from the tab at the top of my blog. Angelos stated that when he taught Young learners, digital tools were not a thing, so the whiteboard was the only tech he used. Likewise, @Teacherphili said that when he taught young learners in Tanzania and South Korea, digital tools were not really a thing. @SueAnnan asked whether we even needed technology with young learners. Why not let them just be kids, she suggested. Phil replied that they can still be kids, but with devices. Angelos stated that he thought kids nowadays are attached to technology – he wasn’t sure if this is positive or not but that he thought it is simply a reality. 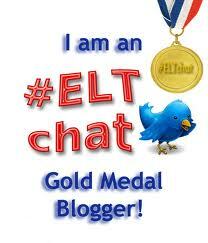 It was the first ever #ELTchat for @EFLteacherRunna from Ramallah, Palestine. It is always good to hear from some new people. She has recently been involved in the Hands Up Project, which she says has been a great experience so far. She does weekly one-hour lessons with a group of girls living in zaatari refugee camp. They use zoom, which requires very little bandwidth so that helps keep the connection problems down to a minimum. Runna stated that she think kids expect tech these days. It can be as simple as using Quizlet for vocabulary or Class dojo for a rewards system. Tech can also be used to connect students/classrooms from around the globe as an alternative to traditional pen pals. Angelos asked whether this was difficult to manage. Unless there is a specific platform which is safe, right? Runna replied that there are options like @EmpaticoOrg depending on the level of the students. The HandsUpProject also tries to connect classrooms sometimes. I think it depends on how you do it and you have to get parental permission of course. Angelos and Phil both stated that it was a great initiative, involving storytelling, young learners, a worthwhile cause and they need more teachers to get involved. @natibrandi stated that she thinks that kids expect games! A good old plemanism, may be just as effective as Quizlet. The key is keeping them busy and interacting with the language, they don’t want to just sit and listen. Runna agreed totally with this. She thinks it is about balance between using technology and some tried and true activities, before adding that edpuzzle.com is a tool that she recently learned about. You can add questions to videos to check their understanding as they watch. Digital tools used with YLs must be suitable for their age group, stated ‘Free Spirit’ chatter a.k.a. @teachingright. Angelos asked for clarification on this. ‘Classdojo’ for classroom management & ‘storybird’ for teaching writing, replied @teachingright. They are easy and suitable for them. In addition, Animoto and Kahoot! Teachers can create puzzles or any interesting game for kids. Animoto is an app that they could use to create wonderful videos. An app called ‘Chwazi Finger Chooser’ was also suggested – in an observation by @teachingright the kids like it and can help with classroom management. @sergiolm21‏ (Sergio Lorca) said that he sometimes uses Plickers to review at the end of his lessons. He really likes it because the students don’t need to have a mobile device, and also they keep a scoresheet with the answers. Genially is another tool which can be used both for young learners to use in class and for teachers to help with their preparation. You can create a gamification (board game, escape game, etc), work a specific skill or topic and use it in class, he added. @natibrandi stated that she thought that the traditional ‘I teach – you listen’ model does not work at all with Young Learners, which is why rather than thinking about what we’ll do, planning lessons based on what they’ll do! A good one is Lyrics Training. Some kids love listening to songs, and they can get exposure and practice … also dubsmash, excellent to mouth the perfect pronunciation, and see it very much as a physical thing. Runna added that her students love this site. One person can type and the others shout out the lyrics as they listen, she stated. My problem with tech in the Young Learner class, stated @natibrandi is that she sometimes find it leads to dead time, and dead time causes behaviour issues in class… the dead time, whilst you set things up, or when problems with wifi arise. Runna replied that is true. She has not taught young learners in nearly a year but used to try to have things set up beforehand or while they’d be working on something else. Nati added that she did not think it counts as an app, but going round the school, taking a photo of (something related to a project), come back and describe it until the others guess, things that keep all the students busy, I reckon work best, and this does not always happen with some tools. Basically, good old information gaps, but using technology to enhance use and meaning. Angelos asked whether using the affordances of their own tech (in this case their smartphones) is also useful. Do young learners have smartphones, though, he wondered. Nati replied that in Argentina, they do, and in my context (mid upper class) those who don’t, have an Ipod. The school could also have sets of tablets… sometimes more effective than interactive boards because actually these can be used to keep students interacting with the language and occupied. Angelos replied that he believed using the school’s tablets is much more effective and, possibly, safer for our students. Nati agreed, saying ‘Definitely!’ Her school doesn’t have tablets nor interactive boards… not even good wi-fi! but she does use her students’ devices… now if you have tablets… that’s heaven, she concluded. It’s also important to spend time setting rules around their use and checking their settings first, added Runna. Taking photos and that kind of thing is really useful, stated Runna. You can also make a scavenger hunt. Give them a list of things to search for and they take pictures of the things they find, which Nati loved the idea of. @vickysaumell has recently given a talk on this too, according to Nati, and she knows that she has been working with augmented reality and other projects. Phil knew this, too, and offered a webinar recording that Vicky did for Cambridge University Press on digital tools in the young learner classroom. Long after the ‘slowburn’, Vicky added a few of her favourite tools for YL: (1) Book Creator on PCs and mobile devices to create digital books. Images, text and audio possible. (2) Speaking avatar creators: Voki, Plotagon, MyTalkingAvatar Free, BuddyPoke. (3) A video wall with Flipgrid for multiple uses! (4) Word clouds with ABCya Word Clouds (no registration required). (5) Padlet or Linoit to create interactive online boards to share resources(6) Kahoot! to play online quizzes that learners can create themselves. Phil shared some apps, such as Learn School Words, and Animal Sounds for Kids, which were suggested, outside of the chat, by @Rach_Ribeiro, which are listed below. He also made a reference to a recent session by Gary Motteram on teaching English in challenging circumstances, including Zaatari Refugee camp in Jordan. Institutional support can come in many forms. From training to actual devices and upkeep of the devices. But what about safeguarding and child protection? asked Angelos. It should be the role of the institution to put the proper procedures in place, make sure teachers fully understand them, that they’re communicated to parents and students, according to Runna. Sergio agreed that with the view that technology can be way to communicate with parents. In his school we are using Telegram in order to inform the families. From the school we send info to them but they can not answer, it’s one way. Like Vicky Saumell, @jenjdobson added some very useful comments in the after chat ‘slowburn’. To begin with #safetyfirst should be the mantra for any online work, she stated, in fact any work, with Young Learners. There are some recommendations on the IATEFL YLTSIG page here. Once you are aware of the potential dangers then look at tools and apps with safeguarding in mind. Can add some of the ones I used during the ELT Malta council conference during the course of the day if you like? The talk was for Early Years, but they all work for all Young Learners. @teachingright already mentioned Class Dojo. I love using the Class Story section. This can provide a ‘window to the class’ through generating safe codes for parents/caregivers without the need for any shared mail accounts. @TinyTapit is another fabulous tool. You can create a game with learners safely and collaboratively. Try getting older learners to teach the younger ones. EdPuzzle and Lyrics Training – Recommended by Runna Badwan. Storymaker – A recording of an OLLReN session by Dr. Vanita Chopra & Harsha Jaisinghani who demonstrated how they used Storymaker in India with Young Learners. Teaching in Zaatari Refugee camp – A recording of Gary Motteram’s session at OLLReN. ‘Using technology with young learners’ – A post on the Cambridge University Press blog by Sedef Koç. Penfriends – Recomended by Nati Gonzalez Brandi. Genially and Plickers. Recommended by Sergio Lorca. TinyTapit, recommended by Jen Dobson. Voki, Flipgrid, Padlet, and ABCya Word Clouds recommended by Vicky Saumell. Learn School Words, Animal Sounds for Kids and First Words for Baby, suggested by Raquel Ribeiro. ‘Digital tools in the young learner classroom’ – a webinar by Vicky Saumell for Cambridge University Press. A couple of chatters shared this upcoming event on 4 November put together by the YLTSIG. I’ll be joining in, not as a speaker, but as a viewer. I can recommend it.